It’s a Silver Gilt Medal at Hampton Court Flower Show for Euphorbia Design this week. We’re delighted to be adding this one to the trophy cabinet! Euphorbia Design is run by Lorraine Smith and Jackie Currie. We are based in Surrey and have been running our business together for over fourteen years. Jackie and Lorraine are both very keen gardeners, having their gardens and allotments. 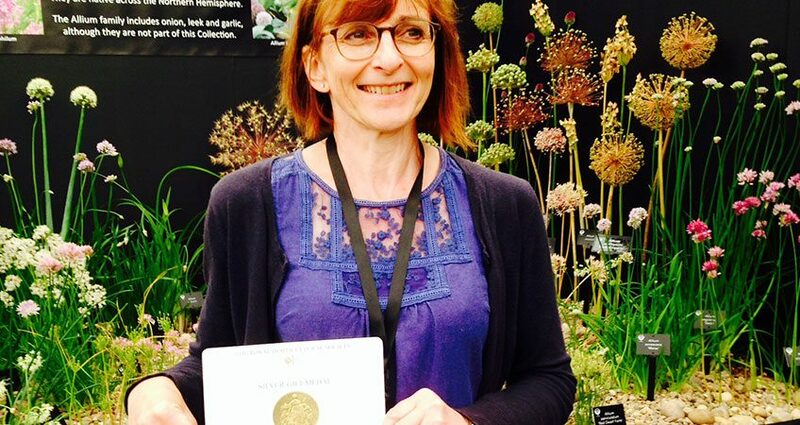 But Jackie has taken her passion for plants a step further and owns the National Collection of Alliums (excl. A. cepa, A. porrum and A. sativum). Her collection is open to the public by appointment only as the collection is so diverse that there are Alliums flowering from March through to October.